Linda Everhart of Among Quilting Friends spoke at the Sunflower Piecemakers Quilt Guild in Ottawa, Kansas on August 16th 2004. My mom had seen the guild announcement in the paper and called to see if I wanted to go to the meeting. 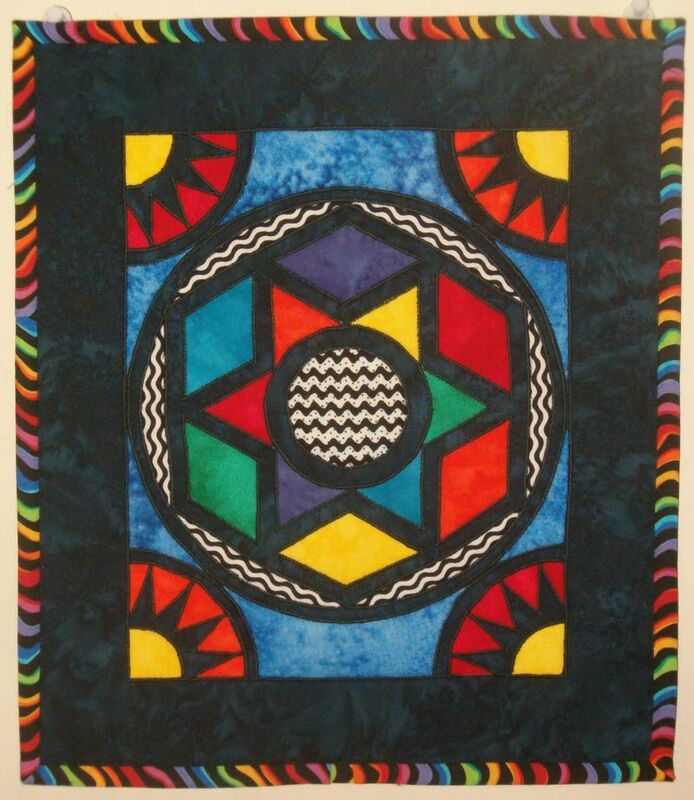 This was back before I joined a quilt guild. Linda was showing her technique for stained glass quilting without using bias strips. I thought the technique was interesting and bought the kit for this wallhanging. I started the quilt the next day (8/17/04) and had it finished the following (8/18/04). The wall hanging measures 11 3/4″ x 13 1/2″ and hangs on my sewing room wall by the garage and kitchen doors.